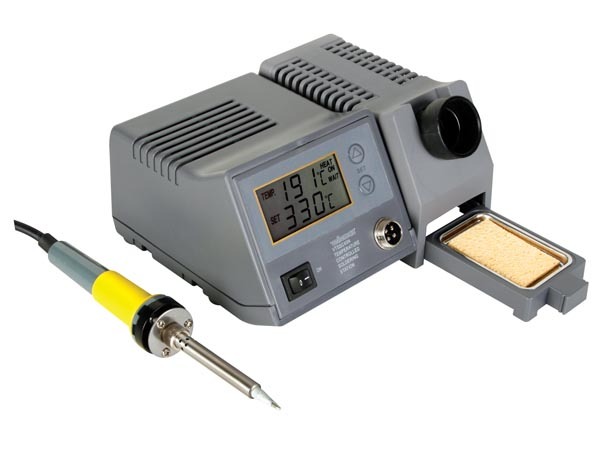 Velleman VTSSC40N is a 48W temperature controlled soldering station with ceramic heating element. Adjustable temperature range from 150 - 450ºC. The adjustment is made by means of two push switches, temperature displayed on a liquid crystal display. Supplied with sponge and integral stand, four sizes of replacement bits are also available.